A new public library is slated to open on Chicago's Far South Side, but area residents say that while a library is nice, it's not at the top of their wish list. Mayor Rahm Emanuel stopped by the Altgeld Gardens public housing project Tuesday to briefly tour the community's Chicago Public Library and announce that a new facility is on the drawing board. But some residents said that while they're grateful, they'd like to see some other improvements as well. "This is the only community throughout the city of Chicago that does not have a grocery store," said Lamar Herron. "The school closed down which is right in front of you." Herron voiced his concerns after Emanuel announced the new library, saying it would be built in partnership with the Chicago Housing Authority. "There's going to be a new day in the community library here at the Altgeld Gardens," Emanuel said, though he did not take any questions about financing the project, or a timeline on when it would be completed. 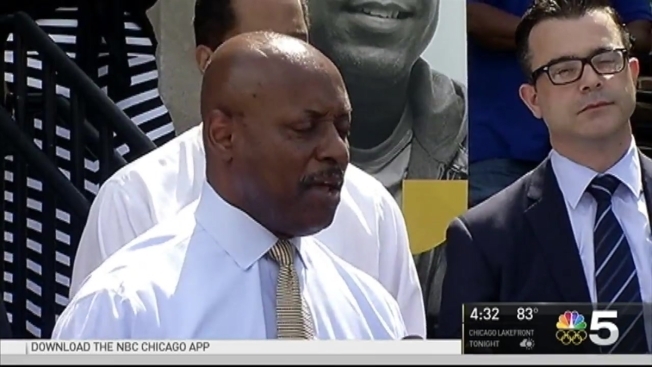 "The mayor is pushing us to do something dynamic and that's what we're going to deliver on," Eugene Jones of the Chicago Housing Authority added. But Herron insisted that he'd like to see other improvements to the community, saying there are more pressing needs for Altgeld Gardens. "Why not a grocery store? Why not a gas station?" Herron asked. "Why not something that is needed for the community whereas the residents don't have to continue to go out of their elements to do what they have to do?" 9th Ward Alderman Anthony Beale said there have been great strides made to the housing units. "We have transformed this community," Beale said. "I think a library is just another avenue of the transformation of the area, and so we're not going to minimize a library."